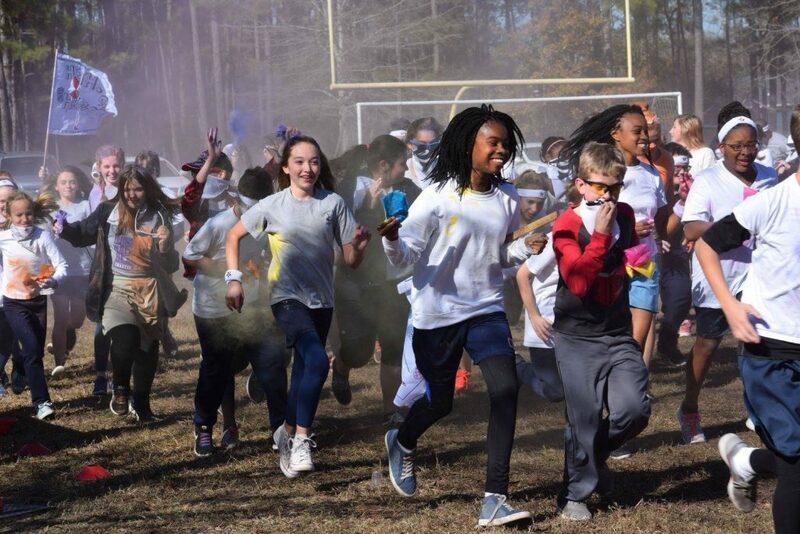 You are here: Home » Blog » Charter Day School Raises $10K at Fun Run! We had an incredibly successful Fun Run and raised $10,000! Thank you to all who participated and made this event a huge success! We will use the funds to secure new chromebooks for our students. These will be utilized for student computer access in the classroom, Accelerated Reader, and EOG testing. Assistant Headmaster Rosina Walton commented, “The fun run is a positive experience for the whole community and gives a chance for school unity”. Assistant Headmaster Rachel Stroup further stated, “As always the boosterathon team brought energy and excitement to campus. This program is my favorite because of its focus on character enrichment”. Again – thank you to all students and parents who made this event possible and happy holidays!